GIFs and cinemagraphs are a fun and innovative way for brands to connect with their audience in the era of Tumblr, BuzzFeed and other media platforms attempting to hack the virality of the Internet. GIFs and cinemagraphs are similar pieces of media, but have quite different features and uses. GIFs are image files that are compressed to continually loop the same motions over and over again — basically, a small portion of a video that repeats. A cinemagraph is an image file where the whole photo is stationary, except for an isolated section of movement. Cinemagraphs aren’t as widely used as GIFs, which presents an opportunity for brands to stand out with this form of media amongst the noise. From Yahoo’s regular use of GIFs on its corporate blogs to Coca-Cola’s cinemagraph that got almost 80,000 notes on Tumblr, the use of this form of media by marketers is in resurgence and should be taken seriously by businesses of all sizes. 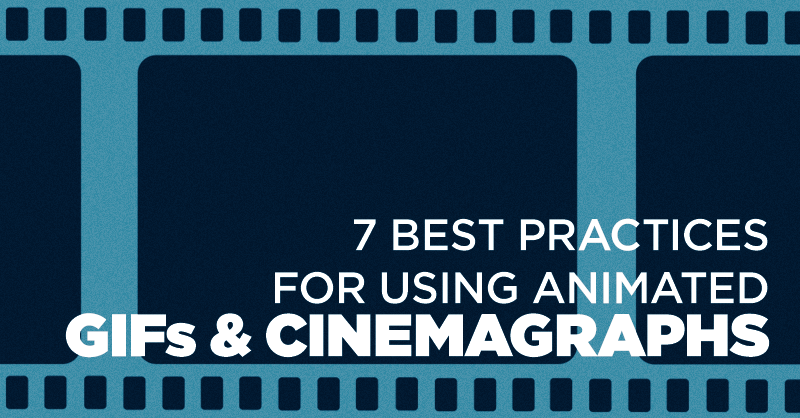 Here are seven best practices for using GIFs and cinemagraphs for your brand. GIFs and cinemagraphs don’t work on all social channels, but they can be posted on your Google+ Page like this, on your Tumblr blog like this or on your own website. Since this media is unique to these platforms, it presents an opportunity to create a unique experience with your audience that is specific to these channels. Don’t create this media just for the sake of doing it, but look to create GIFs and cinemagraphs that sync with your campaigns, as well as your consistent product or service offerings. When looking at a brand like Kraft, their GIFs are all clearly branded with their logo, color scheme or product in an original way to help those who discover these assets across the web know that the brand itself is behind these fun pieces of content. Reach out to influencers on Tumblr or Google+ that are actively creating their own GIFs and cinemagraphs and also appear to have a loyal following. Collaborate with these influencers to create content for your brand that’s in line with their style and that they’ll feel comfortable reblogging with their own audience on the network. Take FASH GIF’s collaboration with Ecko Unltd. on Tumblr as an example of an effective partnership to take notes from. Turn your best content from events, commercials, video shoots and elsewhere into GIFs and cinemagraphs to give the content a second life in front of another interested audience. Similarly to what Adidas has done here, cut your longer form pieces of media into these GIFs and cinemagraphs to get the most reach from your content efforts, packaged in a new format. Your GIFs and cinemagraphs should be both fun and educational to ensure there is an added incentive for your audience to share them with their networks. Find ways to show the value of your products or services, hack the way in which the product is typically used and share how-to moments like Ben and Jerry’s did on Tumblr. Use cinemagraphs to highlight the unique appeal and creativity of your brand on a static page or section of your website, Tumblr or Google+ cover photo as opposed to just being a part of a blog post or a one-off piece of content. The photographers at Ann Street Studio use cinemagraphs as the header of some of their pages throughout their website to highlight their photography skills and keen understanding of how this media can create a unique visual experience for visitors. Look to emulate this approach to cinemagraphs by applying this technique to your web properties with your brand’s own unique spin. It is important to not always share your own content, but also to share the GIFs and cinemagraphs of your fans and followers as well. When your brand acknowledges the content of its users by liking it or sharing it with their whole audience, your fans are often delighted at the recognition and even happier to be a part of your community. One way of encouraging users to create GIFs and cinemagraphs about your brand is to hold a contest, similar to the idea of Gap’s promotion on Tumblr. The clothing brand called for submissions from their audience, and the winning GIFs and cinemagraphs were shared on Gap’s Tumblr and promoted in a mobile Tumblr advertisement in front of millions on the platform. 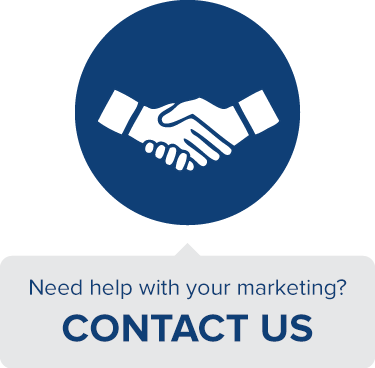 Take this idea and use it to encourage your users to help generate exciting content about your brand. Ready to start making these forms of media for your company? Learn how to make cinemagraphs here and GIFs here. What’s the best use of GIF’s or cinemagraphs you’ve seen by a business to date? Share your thoughts below!